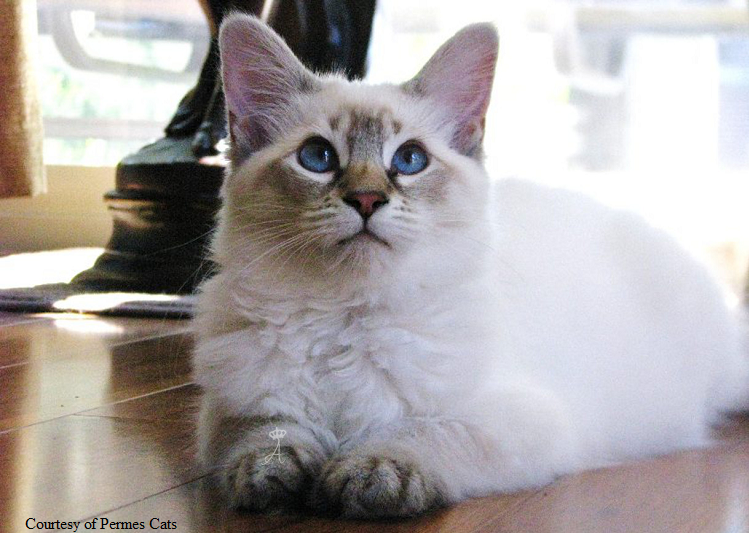 The Balinese breed, like that of the Siamese, also comes in additional colors outside the primary colors of seal, blue, chocolate, and lilac. 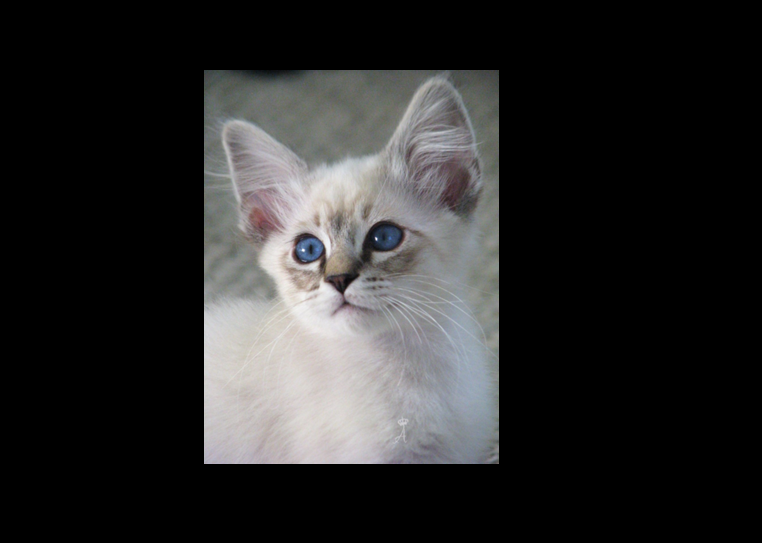 Lynx points, or what I like to call them, "Wildcat Points", are very beautiful and exotic in both color and in design. 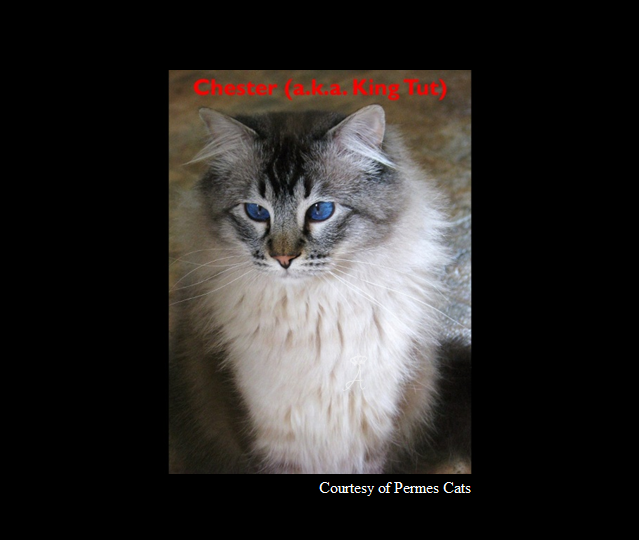 They come in the four primary pointed colors but have stripes. 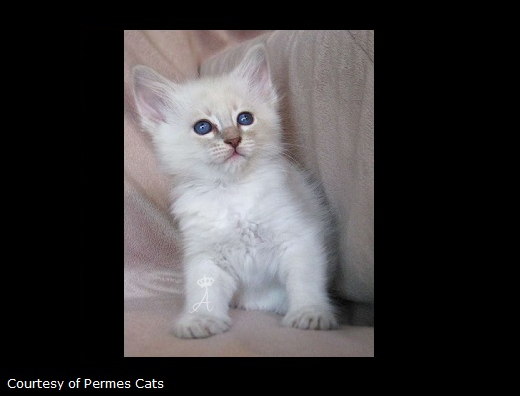 This added touch makes them look as if they are straight from the wild, resembling a wild lynx cat or white Siberian tiger. 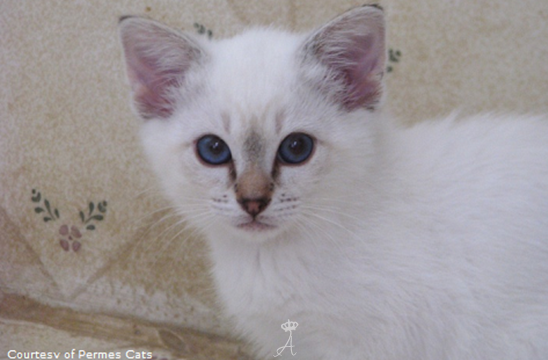 The lynx point Balinese cat is also classified as a separate breed in itself due to how they aren't considered a natural color of the Siamese/Balinese, and they're mainly specified as Javanese; the sister island of the Balinese island, because of their close proximity to each other. 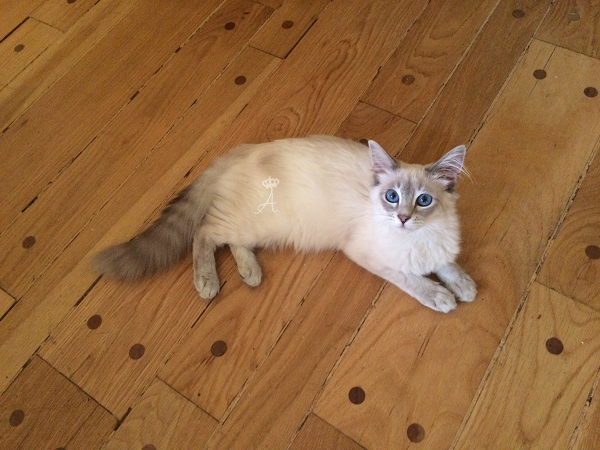 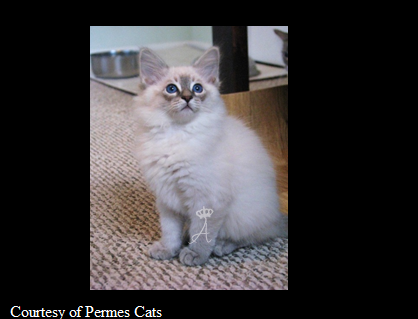 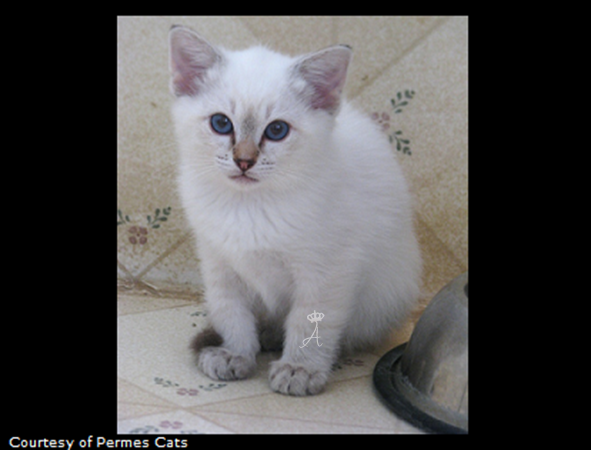 The reason for this is to separate the actual lines that created the lynx point design from the original points seen normally in the Balinese breed. 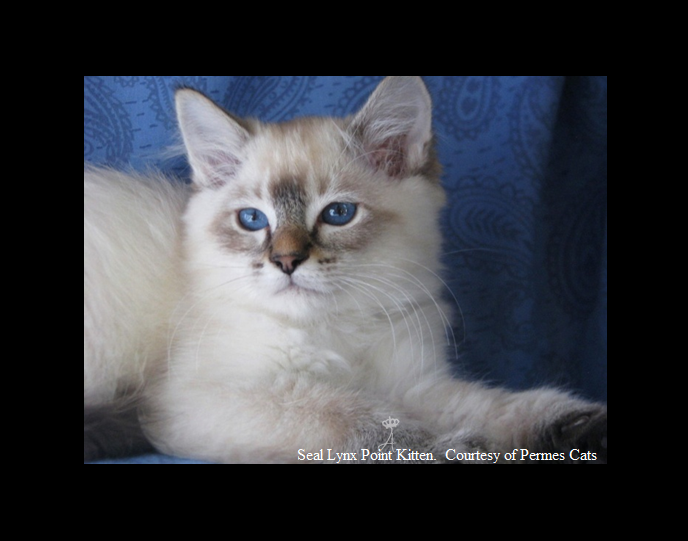 This doesn't mean that lynx pointed Balinese are not purebred, as this cross took place many generations ago, but it also assures the difference between those lines where the Siamese/Balinese bloodline has been established to also produce these lynx pointed Siamese/Balinese. 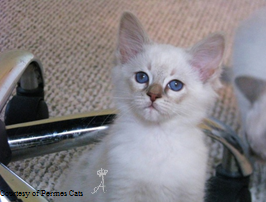 Lynx points were first seen in many other cat breeds by the efforts of past cat fanciers who wanted to produce additional colors and designs in future litters. 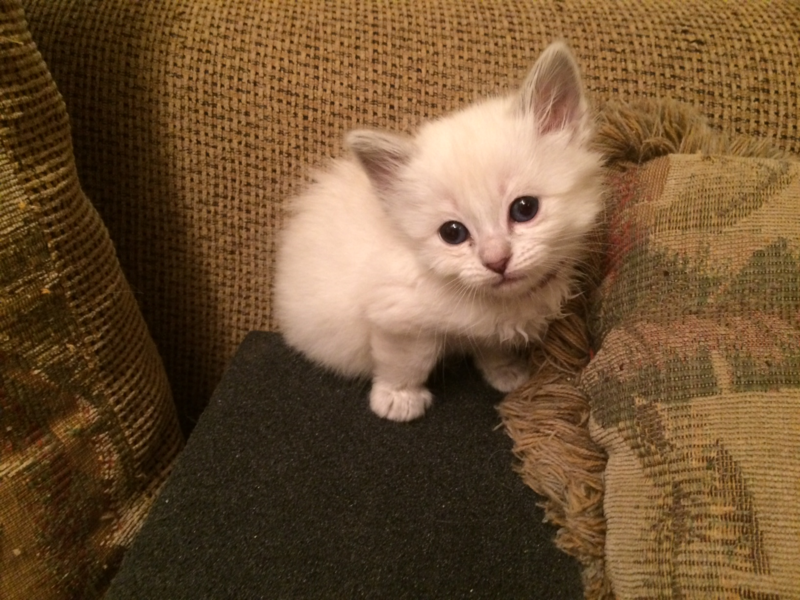 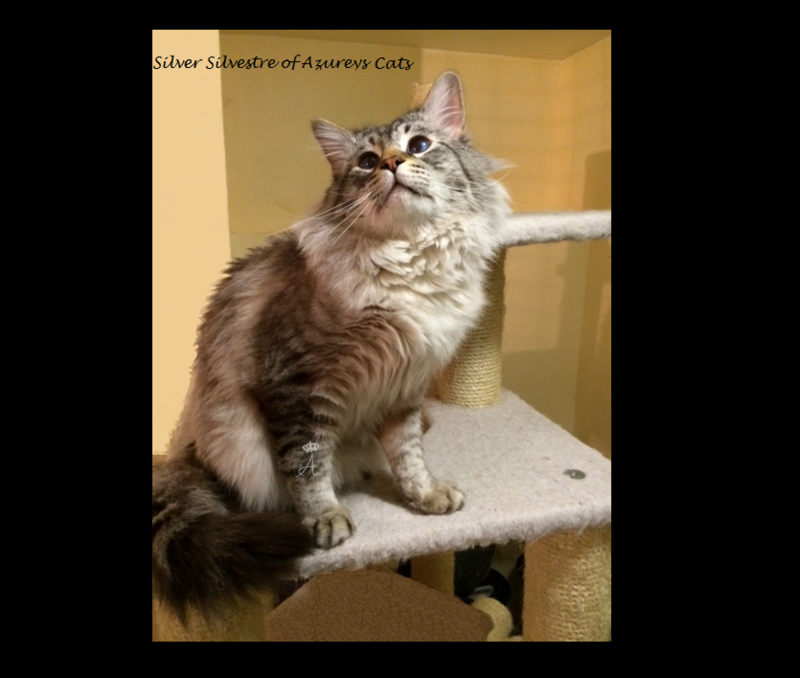 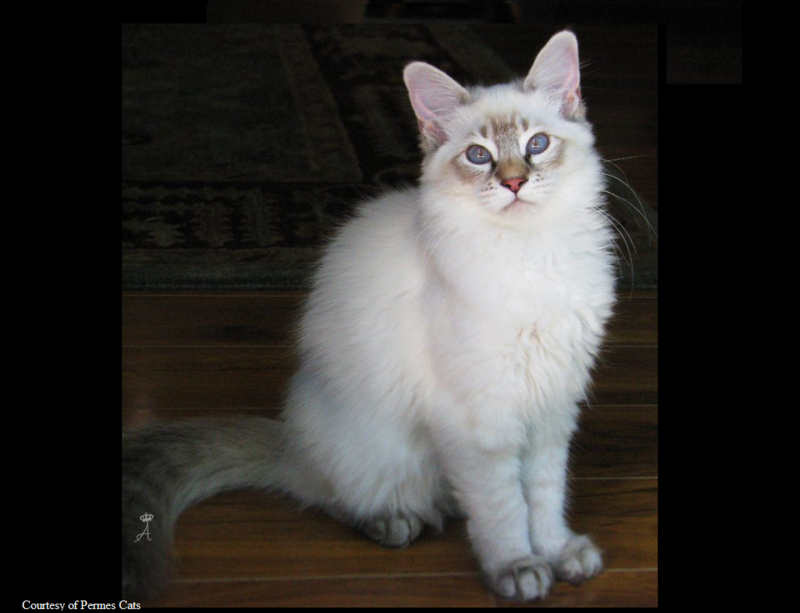 With this in mind, they wanted to pass on the genetic features of the “tabby” or lynx point design to other breeds to obtain the stripes that would otherwise be impossible to obtain. 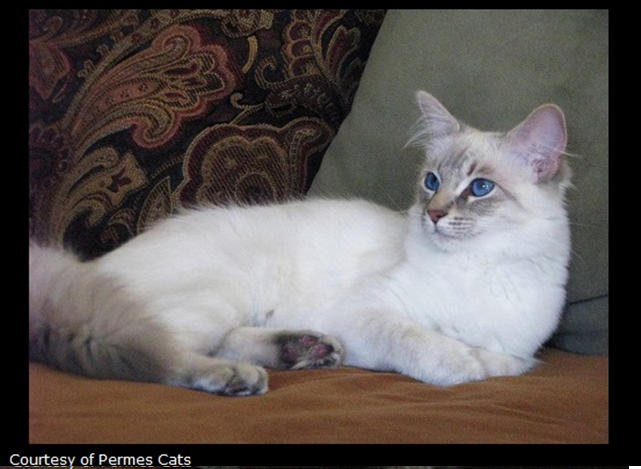 The lynx point design in the Siamese and Balinese breed comes from the previous breedings of a purebred Balinese/Siamese cat with a tabby house cat or a colorpoint shothair, meaning a Siamese crossed with a tabby cat. 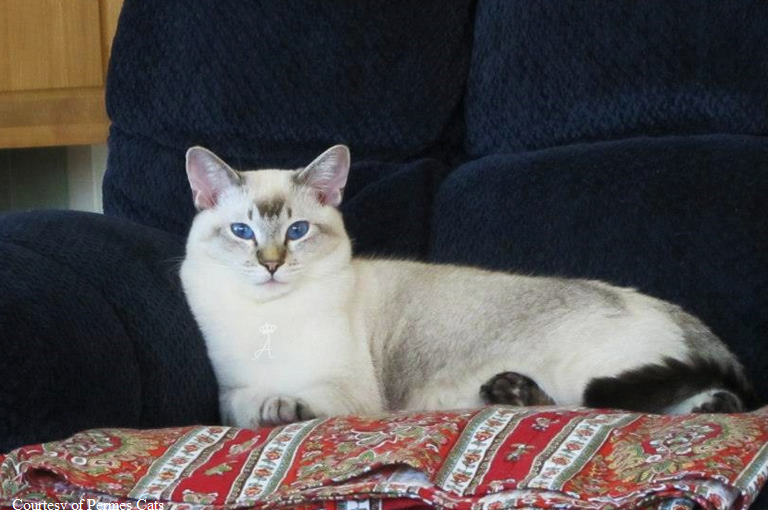 The word "tabby" comes from the Spanish "tabi", meaning a cloth with irregular tie-die like stripe markings. 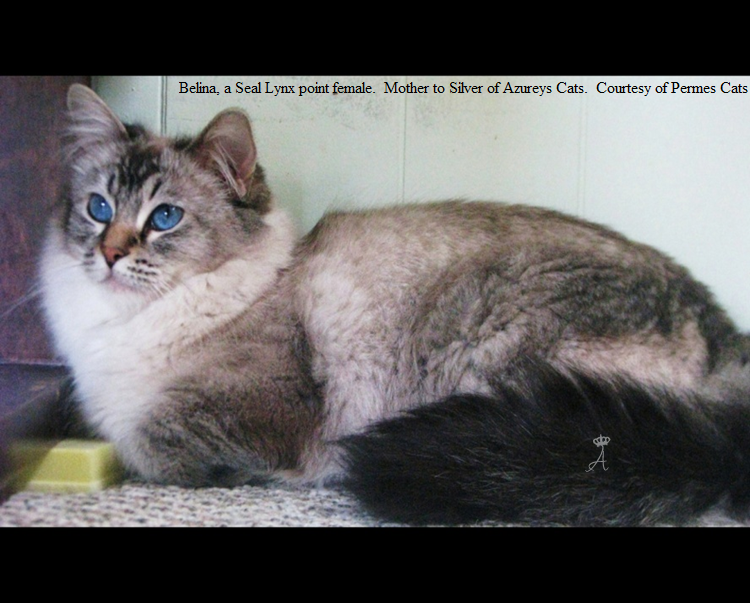 Lynx points are also referred to as “tabby” cats where their stripping and design resemble that of a tabby house cat. 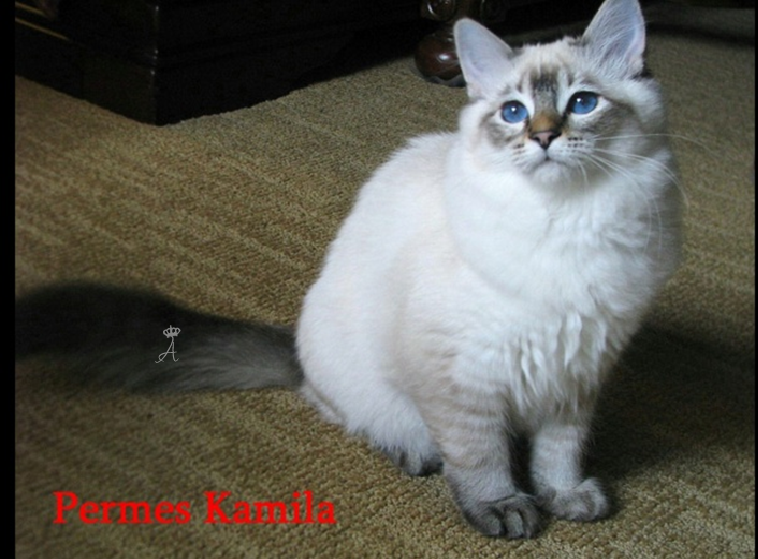 The first Javanese cats were produced around the end of the 1900s, with breeders in primarily New York among other states working together to promote a cat that resembled the Balinese but that had an added touch. 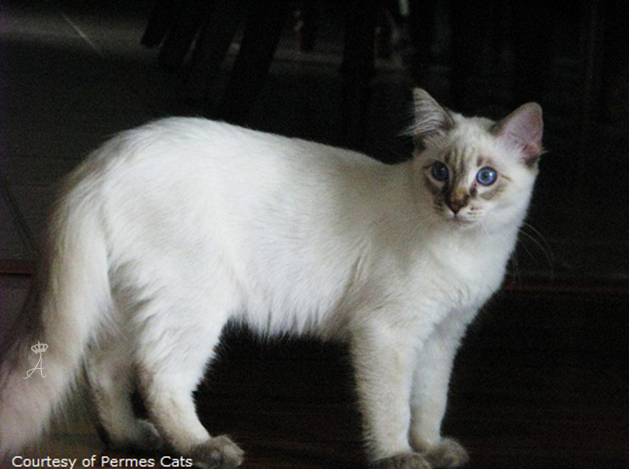 The Javanese is now a popular breed with its exotic looks and Siamese/Balinese personality and appearance. 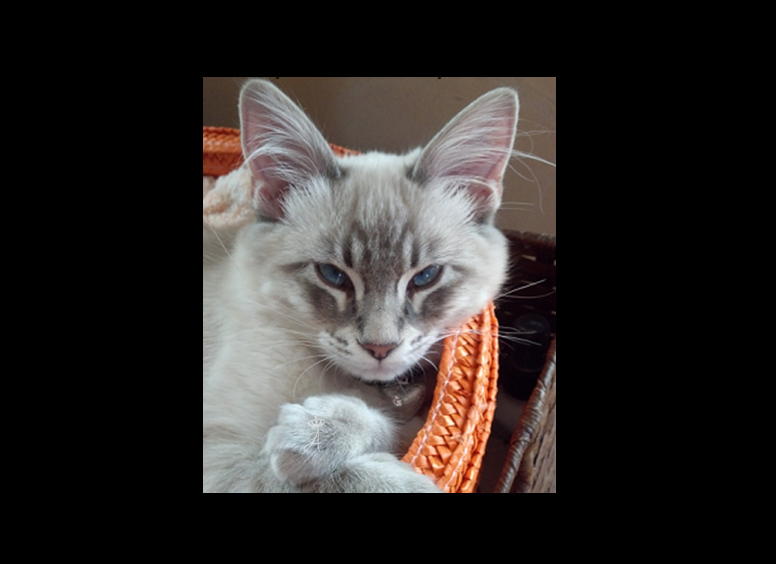 This overall combination makes for a wonderful house cat for those wanting a touch of the “wild” side to their regular house cat or Balinese primary colors.